Hmmm…now there’s an interesting question. 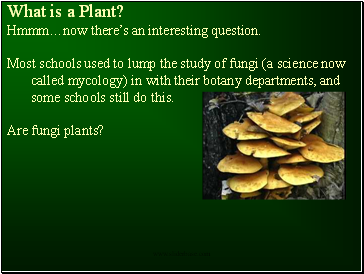 Most schools used to lump the study of fungi (a science now called mycology) in with their botany departments, and some schools still do this. many people when I say that. anterior whiplash flagellae with star-shaped bases. 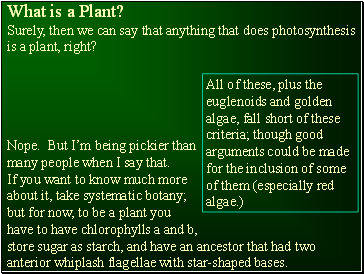 So what is a plant? 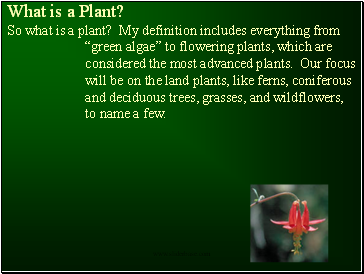 My definition includes everything from “green algae” to flowering plants, which are considered the most advanced plants. Our focus will be on the land plants, like ferns, coniferous and deciduous trees, grasses, and wildflowers, to name a few. 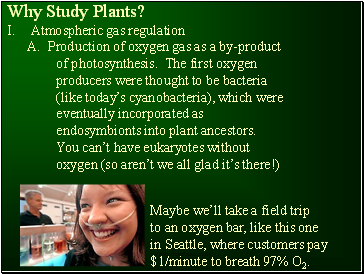 $1/minute to breath 97% O2. B. 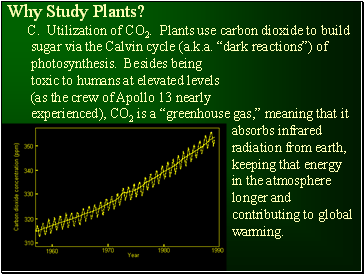 Oxygen gas (O2) in the atmosphere is converted to ozone (O3)in the stratosphere, as it absorbs UV light. 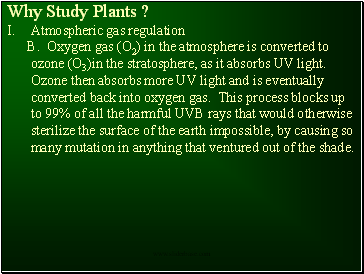 Ozone then absorbs more UV light and is eventually converted back into oxygen gas. This process blocks up to 99% of all the harmful UVB rays that would otherwise sterilize the surface of the earth impossible, by causing so many mutation in anything that ventured out of the shade.